Think about the people in your life. Think about your parents, your children, your siblings, your spouse, your friends and loved ones—think about the living, breathing individuals that make up your world. Now, think about what it would mean to lose them. Distracted driving is a very real threat to everyone on the road, and has been known to claim hundreds of lives in only the last few years. These were people with loved ones and families. Distracted driving is a significant danger, but even more importantly, it’s a danger that we can eliminate, as long as we’re willing to make the commitment. In the wrong hands, a car is a dangerous weapon capable of immense destruction. The modern car weighs approximately 1000–3000 kg, and can travel at speeds in excess of 160 kph. When all of that mass and velocity collides with something, an inordinate amount of energy is released. That energy is often capable of shattering glass, warping steel, pulverising concrete, and yes, even ending human life. But unlike most weapons, no malice of forethought is needed in order to turn a moving vehicle into an instrument of death. All that it takes is a moment of distraction, and an otherwise safe driver can easily find him or herself responsible for property damage, injury, or death. Cognitive distractions are any that cause a driver’s mind to lose focus on the task at hand. These distractions are often the most difficult to prevent, as they are often not associated with any particular physical object. Music and passenger conversation can both lead to cognitive distractions, as can driver preoccupation with matters unrelated to driving (such as issues regarding personal life or work). Visual distractions are any that cause a driver to take his or her eyes off of the road. Visual distractions are particularly dangerous, because they result in a vehicle that is being driven ‘blind,’ at least for a few seconds. Looking at the display of an electronic device, or looking down to change the radio station, are both examples of visual distractions. Manual distractions are any that cause a driver to remove his or her hands from where they should be to drive the vehicle. Manual distraction results in a decreased control over the car, and can lead to an increase in response time when encountering unforeseen road hazards. Eating and drinking, adjusting a seat belt, securing a pet, etc., are all manually distracting. With the recent increase in the popularity and availability of mobile devices, instances of distracted driving are increasing as well, and are having profoundly negative effects on overall car safety in Australia. Official sources began to keep the first records of Australian traffic fatalities during the second decade of the 20th century, and the first report published in 1925 indicates that as many as 700 traffic-related fatalities occurred during that year. However, with the recent increase in the popularity and availability of mobile devices, instances of distracted driving are increasing as well, and are having profoundly negative effects on overall car safety in Australia. Mobile phones offer the kind of constant connection and communication ability that we’ve come to deem as vitally important in the modern world. But it is that same constant connectivity that makes them such dangerous distractions on the road. And although it often seems like such a small thing to check or respond to a text, or to answer an incoming call, or to snap a picture , each of these actions pull a driver’s attention away from what really matters: operating the vehicle. Understanding the facts in regards to the dangers of distracted driving is a valuable first step towards eliminating this threat from Australia’s roads. 1. 30 per cent of young drivers have written and sent text messages while driving. Although it is important for all drivers to remain focused while driving, young drivers are generally less experienced behind the wheel. At the same time, the younger generation is often more technologically dependent. This means that more young drivers are putting themselves and others in danger by using mobile phones while driving. 2. Approximately 60 per cent of Australian drivers admit to using a mobile phone while driving. 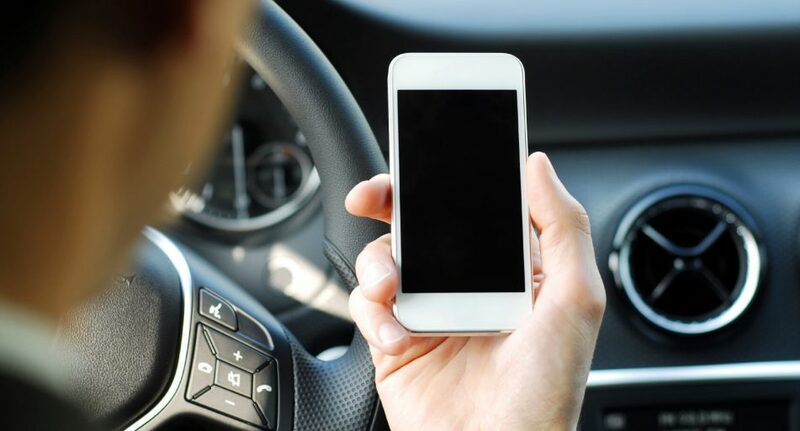 Despite the many laws that have been implemented to prevent mobile phone use by drivers, over half of licensed drivers freely admit to regularly breaking these laws. This may be because most drivers are able to justify their own mobile use—believing that if they only use the mobile phone for a short amount of time, or if they try to keep their eyes mostly on the road while they complete their text, they’ll still be able to operate the vehicle safely. This, however, is a misconception; any distraction, no matter how small, can lead to a traffic accident. 3. Those who engage in text messaging while driving have their eyes off the road for approximately 10 per cent of the time. This increases to 40 per cent when drivers are both retrieving and sending text messages. Given the speed that modern vehicles are capable of, those drivers that look away from the road for even a few seconds often find that they have travelled much further than they had anticipated by the time they regain their focus. For those who text message while driving, this ends up accounting for a significant portion of their time—nearly half of the time spent driving, in the case of those who both send and receive messages. 4. Of those who admit to using a mobile smart device while driving, 89 per cent use their devices for calls, 68 per cent for navigation, 39 per cent for instant messaging, and 31 per cent to check e-mail or the Internet. Mobile phone use while driving is not limited to telephone calls or text messages; many mobile-users take advantage of other smart-phone capabilities. Unless drastic steps are taken, as mobile smart-technology advances, we will likely see a continued rise in distracted driving, due to mobile-devices demonstrating even more advanced capabilities. 5. Distraction caused by passenger interaction is the cause of approximately 3.2 per cent of all casualty crashes. The act of simply sharing a vehicle with another person may be enough of a distraction to cause a car accident. Passengers offer a number of possible distractions to drivers, and should be aware of the dangers they pose. Even basic conversation can potentially cause accidents if it distracts a driver’s focus at the wrong time. 6. Inattention is reported to be the primary cause in nearly 30 per cent of fatal crashes and 45 per cent of serious injury crashes each year. Although many believe that distracted driving is a minor concern, the truth is that distraction is a significant threat to every driver on the road, and is directly responsible for nearly half of all serious injury crashes in Australia. 7. Texting increases the risk of a crash or a near-crash by up to 15 times for car drivers and over 20 times for truck drivers. Texting may be the most significant risk factor for drivers, significantly increasing the chances of a car accident. For truck drivers, this threat is even more pronounced. 8. The most common types of distraction involves voluntary, non-driving related distractions originating within the vehicle. Although some forms of driver distraction are unavoidable (a flying insect in the car, glare from the sun or approaching headlamps, the sound of car horns, etc. ), the most common distractions are ones that could be avoided relatively easily. These are distractions associated with mobile device use, interacting with passengers, listening to music, eating, drinking, smoking, adjusting vehicle settings, or even self-grooming. By identifying and conquering dangerous personal driving habits, drivers can make the road safer for everyone who uses it. 9. The number of crashes on NSW roads in which driver distraction was a factor have doubled in less than 10 years. As technology becomes more available, it is becoming ever more obvious something needs to be done to promote and ensure road safety. Wanting to learn more about keeping safe on the road? It is important to familiarise yourself with the specific laws of the area in which you live. However, most state laws reflect National Australian Road Rules, so your first step should be to understand those laws and what they mean for you. Although every state has established its own laws to help reduce the number of distraction-related accidents, there are a number of road rules that are common throughout the entire nation. 1. It is against the law in all Australian states and territories to use a hand-held mobile phone for any purpose while driving. This includes talking, sending and receiving text messages, playing games, taking photos or video, and any and all other hand-held mobile phone functions. 2. Using a hand-held mobile phone is against the law when your vehicle is stationary but not parked, such as when it is stopped at a traffic light. 3. It is also against the law to use a hands-free phone while driving, if it causes the driver to lose proper control of your vehicle in any way. 4. Learner and P1 drivers are not permitted to use a hand-held or hands-free mobile phone at all while driving. 5. A fixed mounting that is positioned so that it allows the driver to use the mobile device without having to take his or her focus off of the road may be used. However, while not technically illegal, this kind of setup may still be distracting to drivers, and you may find yourself facing charges (or worse) if you allow yourself to be distracted by a fixed-mount device. The most valuable weapons in the war against distracted driving are knowledge and commitment. Knowing the dangers associated with distracted driving is only valuable when drivers are then willing to take the necessary steps to correct their own habits. After all, in most cases, distracted driving is a conscious choice, and as such, it’s something that we can choose not to do. Here are some tips on how you can eliminate distractions in your vehicle. 1. Make any seat, mirror, or other car-adjustments before you start the engine. It is not uncommon for drivers to put on their seat belts, adjust their side and rear-facing mirrors, and reposition their seats after the car is already underway. As with many distractions, this is often because the driver feels that he or she is in a hurry to reach his or her destination. However, these actions are not very time-consuming, and should always be performed before the car begins to move. 2. Finish getting dressed and groomed before you leave home. If you find yourself having to apply makeup, put on a tie, comb your hair, or perform any other dress or grooming related activity, then you should consider giving yourself more time at home before you leave. Again, this seems to be a case of drivers being too rushed to practise proper driving safety. If you find yourself having to apply makeup, put on a tie, comb your hair, or perform any other dress or grooming related activity, then you should consider giving yourself more time at home before you leave. This may mean waking up a few minutes earlier in the morning. The good news is that getting dressed and groomed at home rather than in the car will likely result in a better appearance overall. 3. Do not eat or drink while driving. Whether you are attempting to take a quick meal during your commute, or you simply like having something to snack on while you drive, eating can be very distracting. Take the time to eat at home before you get into the car—this will also help reduce your desire to snack while driving. If you absolutely must eat while driving, avoid messy, difficult-to-eat foods that will preoccupy your hands, and instead rely on things such as smoothies that can be consumed easily without breaking your attention. It may seem inconceivable, but it is possible to disconnect from electronic devices while you drive. By turning off your mobile phone, and any other devices that might cause unwanted distractions, you effectively eliminate them as a threat. 5. Make sure all passengers are secure before you start the car. If you have pets or child passengers, you should double check to make sure that everyone is where they should be before you start to drive. This will prevent you from having to shift your focus to any unsecured passengers when you should be concentrating on the road. 6. Speak with your passengers about distracted driving. As evidenced by one of the above statistics, passengers have the potential to be very distracting to drivers. Speak with your passengers before you begin your drive, and let them know what behaviours are distracting, and have them commit to keep from distracting you while you are driving. Many of us rely on music to help make our commutes more bearable. Unfortunately, music can be very distracting to drivers. Consider turning off your music while you drive, and instead enjoy the peace and quiet that can be found on the road. If this is not a possibility, then at least choose music that is non-intrusive, and that won’t distract your attention too much from driving. 8. Always be willing to pull over to the side of the road. You may end up extending your drive time by a few minutes—or even more—but you won’t have to worry about putting yourself and others in danger while you try to split your focus between two actions at once. If any distractions that require your immediate attention occur while you are driving, your best choice will always be to pull your vehicle over to the side of the road. Doing so will give you a chance to secure the car, and then to focus your entire attention on whatever distraction is occurring. Distracted driving is a growing danger on Australia’s roads, but it doesn’t have to be. By simply taking the time to educate ourselves about this threat, and then by committing to make the personal changes necessary to eliminate unnecessary distractions from our driving-lives, we can put an end to the rise of distracted driving. So, the next time that your mobile phone buzzes while you’re on the road, ignore it, or pull your vehicle over before you check to see what your message is. You never know: the text that you don’t answer today may have been the text that would have ended in disaster.